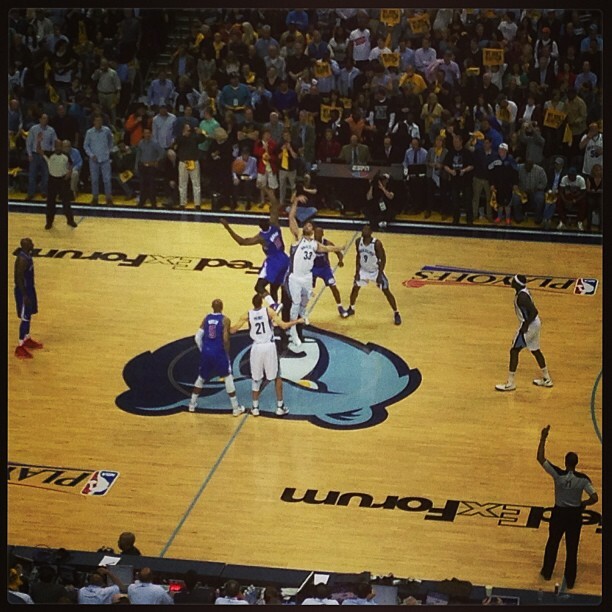 I am not sure why I am surprised the NBA GMs are not picking the Memphis Grizzlies to win this year. Nobody gave the Grizzlies a shot last year either, especially after the Rudy Gay trade, but they still made it to the Western Conference Finals. Even though Memphis is a small market team, the Grizzlies were named the “best franchise in sports” by ESPN The Magazine. On NBA.com’s 12th annual GM Survey, the Memphis Grizzlies did got get any votes to win the NBA finals, no votes to win the Western Conference, and no votes to win the Southwest Division. Also, Memphis didn’t get any votes in the categories of Offseason Moves or Coaches. The only saving grace, sort of, was the Grizzlies were voted the fourth best defensive team in the NBA, with 6.7%, behind Chicago, Indiana and Miami. Of all the Grizzlies, Marc Gasol was most represented on the GM survey. Gasol was voted second best center, with 20.7%, behind Dwight Howard and second best International player, with 26.7%, behind Tony Parker. Even though he was last year’s Defensive Player of the Year, Gasol was an ‘also receiving votes’ for best defensive player in the NBA and tied for third best interior defender with Roy Hibbert and Serge Ibaka. Marc was voted second best player who makes most of limited natural ability, behind Kevin Love. Gasol ‘also received votes’ for best passer and highest basketball IQ. Tony Allen and Zach Randolph were the other Grizzlies who appeared on the survey. Tony Allen was voted best perimeter defender in the NBA, with 36%, and third best defensive player in the NBA, with 13%, behind Dwight Howard and Lebron James. Both Tony Allen and Zach Randolph ‘also received votes’ for toughest player in the NBA. Randolph was voted second best offensive rebounder, with 24% of the votes. Mike Conley did not receive any votes in any category. The GMs went out on a limb and voted the Miami Heat to win everything and LeBron James as MVP. For the complete list, please go to http://www.nba.com/news/2013-14-nba-gm-survey/. Click here for my more optimistic Memphis Grizzlies preview and follow me on Twitter @DeenasDays for all your Grizzlies news. The regular seasons is less than a week away (Oct. 30 vs. Spurs)!